Good news coming in for Nokia (Symbian) users. Viber has announced that the app will be available for Nokia devices running on Symbian OS very soon. 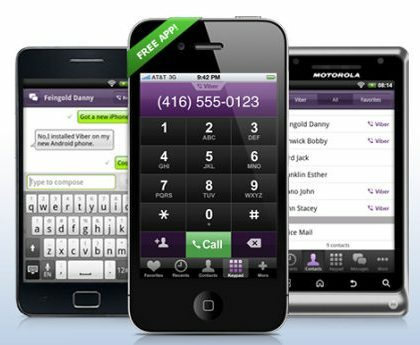 Viber is an app which is currently available for Android and iOS users and it allows users to call and text other Viber users for free. Viber officials went on to announced the news on a Maemo community forum and has also confirmed the same. But then Maemo users will still have to wait for a little more until it is available on the platform. Finally Symbian users around the globe will be able to take advantage of Viber and make free calls to other Viber users across the globe. Viber is very famous within Android and iOS users and just back in February, the Israel based start up announced that it has crossed 50 million users worldwide. Now bringing the app to the burning Symbian platform will only be a treat to Symbian users and also go on to increase the user base of the company on a large scale. There is no information on the list of device the app will support and also they are into the developing stage so there is no release date announced too. But once the app is available, we’ll let you know.